So you're looking for a new camera, huh? Well, don't ask me about specs or my "professional opinion." I'm just your little amateur hobby photographer friend. That being said, my husband and I (okay, mostly my husband) do a lot of research before we make a significant or semi-significant purchase. I've talked about our intentional shopping habits before (read here) and this camera was no exception. It caused some healthy back-and-forth between two people trying to come to one conclusion together. This hunt started for us (and maybe you too) when we just felt like our phone photos weren't "cutting it" anymore. Phones are easy. They're convenient to carry, fast to capture, and are improving with each new update to the technology. But for my work here on the blog and elsewhere, I was growing increasingly desperate for distinctive photos and more capabilities. Soon into our hunt, we found ourselves on the teeter totter between Mirrorless vs. DSLR. Tom was very pro-mirrorless because it's a growing technology, and I was pro-DSLR because I like the look and feel of "old school" cameras. I think making that decision was half the battle. However, once you can at least decide that, you can narrow yourself down more easily. Instead of giving you all the pros and cons of different cameras and types, I'm going to give you a list (similar to my prepping for a puppy list - haha) to help you ask yourself the right questions. I'll include some of our answers so you can see why we ended up with the Canon T6, but mostly to give you food for thought. It's honestly such a personal preference, so my pros could be cons to you, or vise versa. Below the questions I'll also share with you the lenses we purchased, and a really helpful blog post that SHOWS you the differences between three of the most commonly used lenses. Is a viewfinder important to you? Yes. No more looking at a screen to take shots! These are all pretty basic questions, but I thought maybe they'd get your wheels spinning in the right direction. Tom was leaning towards mirrorless, but we decided that even though the body is more compact, it actually made handling sort of awkward. Plus, once you put a larger lens on a mirrorless, it's still going to be bulky no matter how you cut it. I personally appreciate an actual mirror image view. We differed here because Tom liked the digital viewfinders. I found them laggy and choppy. When push came to shove, we realized I'd be using it more often and we knew we could trust the ol' DSLRs. This was just the second camera we've owned and decided it would be a good stepping stone. We can go a different route in the future, but for starters, the T6 would treat us well. Here's a (slightly odd) video that explains some of the differences between mirrorless and DSLRs. Granted, mirrorless cameras really are catching up to DSLRs and are increasingly more competitive across all areas, so give them a look! What ended up breaking the deal for us was... well... the deals. 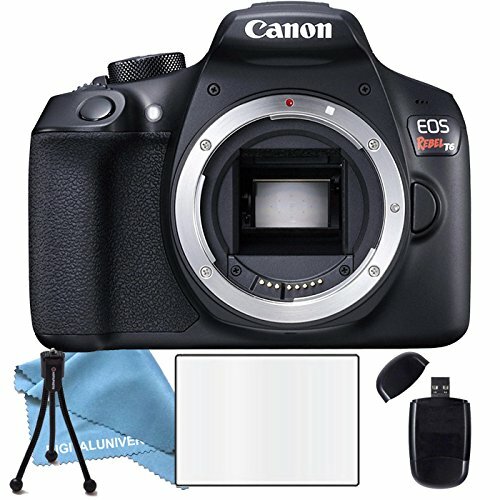 We were able to get a DSLR body and two lenses for nearly the same price as a mirrorless camera and kit lens. We went for a 50mm lens and a 35mm lens. 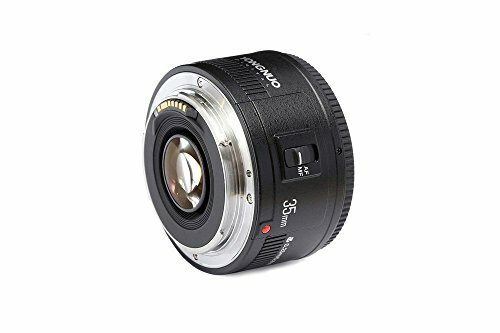 I wanted to avoid the kit lens because after doing plenty of research, I knew it would never give me the depth of field I was looking for in a new camera. We only used a kit lens with our previous camera, and it ended up just gathering dust. We didn't want to make the same mistake, so we ordered some super cheap lenses to try. If they break after a few months, I won't even be mad - they're too cheap to get upset over! I'll tell you, though... so far, so good. Check out this great post to actually see how different lenses shoot the same objects. It helped me a lot in trying to decide what would be most fitting for us. 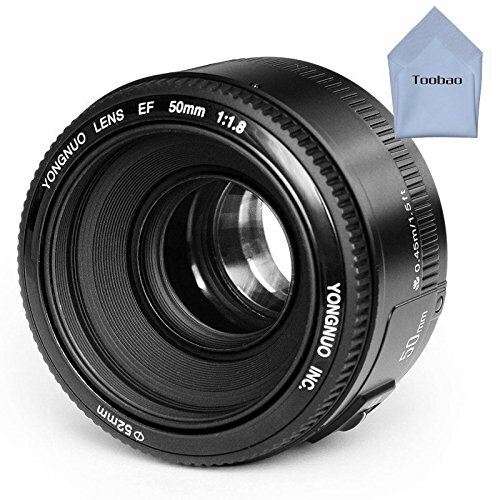 However... the only thing I would change, going back, would be to get a 24mm over the 35mm, only because the 50 and 35 aren't all that different in terms of the range they capture. Other than that, we've loved our new camera and lenses. I am in no way being paid to say any of this, but we put so much time into this, I thought I'd share our thoughts and end results with you lovely readers! We've used it significantly more than our phones and have even joked that we may need to buy TWO cameras because we're starting to fight over it - haha! !